"Something's wrong. It sounds confused." Cantus producer Erick Lichte and I were working on the preliminary mixes for the choir's forthcoming album of works by contemporary American composers, which we had recorded last June at Goshen College, Indiana. I was sitting at the computer, Erick in my listening chair, and we were using PSB's Synchrony One towers as monitors. "Ah." I tried not to look sheepish. "I forgot to time-align the outputs from the three pairs of microphones I used." Now, it's fair to note that the improvement made by time-aligning microphones is not one of night and day. But it is an improvement, and such was the resolving power of the PSBs that the degradation in the stability and focus of the soundstage due to the different arrival times was very audible. Sliding the pairs of microphone tracks forward and backward in time to synchronize the waveform in each of a centrally placed slapstick brought the image of the choir, as heard through the Synchrony Ones, into precise focus. The Synchrony One, an elegantly proportioned tower 43" tall, is the flagship of a line of seven new models from Canadian manufacturer PSB. I saw a prototype at the Consumer Electronics Show in January 2007, and the speaker was officially announced the following September, at the CEDIA Expo. The first thing that strikes you is that there are three 6.5" woofers, one each at the top, middle, and base of the enclosure's front. A 4" midrange unit lies immediately below the top woofer, and a 1" titanium-dome tweeter is placed below that, just above the middle woofer. 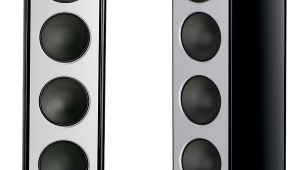 The second thing that strikes you is the absence of any visible mounting hardware—each of the five drivers is smoothly integrated into the front baffle of black-anodized, extruded aluminum. 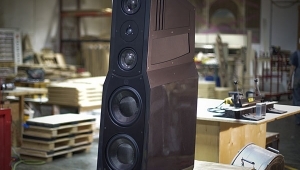 In fact, the drivers are mounted to an aluminum sub-baffle, with a ring of hard, molded rubber smoothly filling the space between the surround and the curved front of the baffle. Each woofer is loaded with its own vented subenclosure, the three ports firing from the black-aluminum rear panel. The placement of the woofers on the front baffle, the exact reflex tuning for each, and the crossover filter slopes—each is fed from its own low-pass filter—as well as the placement of the midrange unit, were arranged to eliminate the usual "floor dip" in the response that results from destructive interference between the drive-units' direct sound and the reflection of that sound from the floor. It is relatively straightforward to arrange for the floor dip from the midrange unit to occur below its passband and that from the lowest woofer to occur above its passband, but optimizing the behavior of the two upper woofers must have been a more complex matter. The tweeter uses a neodymium magnet. 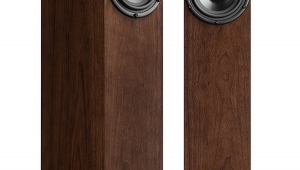 Electrical connection to all five drivers is via two pairs of binding posts inset at the base of the rear panel, and the upper crossover is a Linkwitz-Reilly type, to give minimal overlap between the tweeter and midrange unit and optimal dispersion. The lower-frequency drivers have cones of felted natural fibers laminated with fiberglass to get the requisite combination of lightness, stiffness, and self-damping. Rather than a conventional dustcap, each has a central, stationary, aluminum "phase plug" attached to the front of its voice-coil former. Copper shorting rings on the voice-coils and aluminum rings on the rear of the magnets are said to keep THD in the midband below 0.1% at 96dB SPL, which is more akin to amplifier behavior. 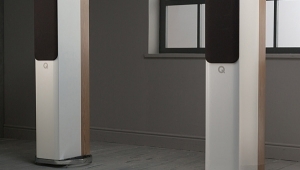 The result, says PSB's founder and chief engineer, Paul Barton, is a speaker that goes louder and deeper more cleanly than his flagship Stratus Gold i of a decade ago, while being smaller and more elegant in appearance. When launched 11 years ago, the Stratus Gold i cost $2499/pair; the Synchrony One costs $4500/pair, which is actually less expensive when inflation is taken into account. This is made possible by the new speaker being manufactured, as are so many others these days, in China. 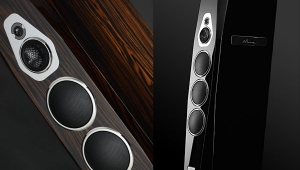 But also like many other Chinese-made speakers, the Synchrony One's fit'n'finish are world-class. The enclosure's gracefully curved, veneered sidewalls, laminated from seven layers of MDF, are seamlessly fitted to the extruded-aluminum front and rear baffles. The black grille of cloth on perforated metal seamlessly fits into vertical slots either side of the drive-units. The visual impression given by the speaker is of understated elegance. With its unique multiple-woofer arrangement, I was expecting the Synchrony One to be more tolerant than the norm regarding placement in my listening room. That turned out not to be the case. It was difficult to eliminate a residual warmth that added a "humming" quality to the sound of a piano's lower register. 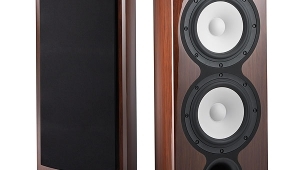 I did wonder for a while if what I was hearing was the absence of the usual floor-bounce notch in the lower midrange, but eventually I was convinced that it really was part of the speaker's character. The solution was to use one of the PSB-supplied rubber plugs to block the port loading the bottom woofer of each speaker. While the speaker's balance was then still on the warmish side, this modification cleaned up the reproduction of lower-frequency piano notes to the point that, with the optimal choice of amplifier (see later), it was no longer a concern. 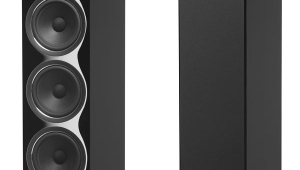 I ended up with the speakers farther apart than is usual in my room, which gave the smoothest integration of their balance through the lower midrange. 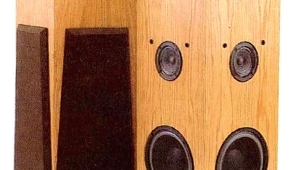 This done, I fitted the supplied carpet-piercing spikes to the PSBs' bases and toed the speakers in to the listening position, which gave the best high-treble balance. I auditioned the speakers without their grilles: not only did I prefer the Synchrony One's appearance au naturel, I needed the little bit of extra top-octave energy that they produced without the grilles. The PSB's top two octaves then sounded clean and silky, with sufficient "air." I settled back for some serious listening. What are the benefits above visual presentation that the Synchrony One offers above the Gold? 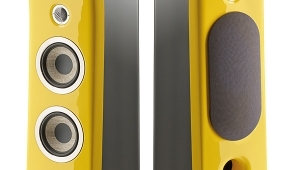 Could anyone who has heard both describe the difference(s) in sound between the PSB Synchrony One and the PSB Stratus Gold speakers? Again and again, I'm finding the Synchrony Ones well regarded, by dealers and reviewers, alike. At the $4500 price point, perhaps it offers an attractive proposition? 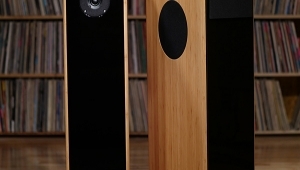 Could anyone compare the sound to the Totem Element Earth speakers ($9000/pr), good and obtuse? 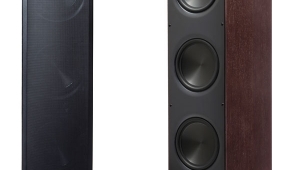 The Focal Electra 1038be ($12,500)? The 1028be ($8500/pr)? All are what I would call afforable, class B or C loudspearkers, perhaps, if recommened. 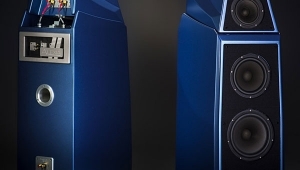 Notably, the PSB Synchrony One falls into 2012 Stereophile's Class A - R/E LF, loosing only low-frequencies to competing with the well-regarded B&W 800 diamond ($24,000/pr), or Revel Ultima's ($22,000 Salon/pr, $16,000 Studio/pr), which would be considered value-leaders, if one reads their respective reviews. 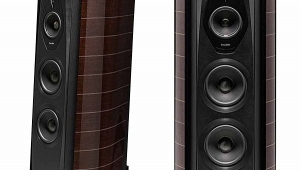 So, I am asking is the PSB Syncrhony One a huge advance over the PSB Stratus Gold, is it better than the Totem Elements and the Focal Electras, etc., and is it sonically competive with the B&W 800 series and Revel Ultima Series, with the exception of SPL and bass-extension cabability? Does it have the same resolution, or would one only hear 75% of the detail say of an 800 or 802 diamond on the PSB's, like one would with a Totem Element speaker? What are the various trade-offs, or is it just a spectacularly good (compared to the competive offerings) price?